Discover the number one bestselling novel behind the Emmy and Golden Globe-winning HBO TV series. 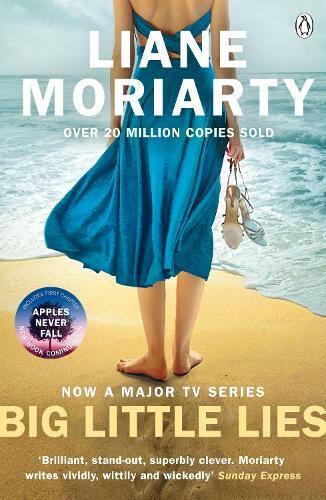 And get ready for the highly-anticipated second series of Big Little Lies by reading the book first. Perfect families, perfect houses, perfect lives. Three mothers, Jane, Madeline and Celeste appear to have it all... but do they? They are about to find out just how easy it is for one little lie to spiral out of control. Single mum Jane has just moved to town. She's got her little boy in tow - plus a secret she's been carrying for five years. On the first day of the school run she meets Madeline - a force to be reckoned with, who remembers everything and forgives no one - and Celeste, the kind beautiful woman who makes the world stop and stare, but is inexplicably ill at ease. They both take Jane under their wing - while careful to keep their own secrets under wraps. But a minor incident involving the children of all three women rapidly escalates: playground whispers become spiteful rumours until no one can tell the truth from the lies. It was always going to end in tears, but how did it end in murder?